It's a tale of two shoes. They're like buses. I dipped my toe last year into the hi-top business (she says making it sound like something it definitely isn't...). Basically I bought a pair of what I thought were green Converse from an Antique shop in Suffolk. Well exactly. For "antique" read - "a lot of tat". And alas, it turns out there was a reason they were brand new for £15 because they were fake. I hold absolutely no truck whatsoever with fake items so into the bin they went. But I blooming LOVED them until I realised what they were. Which leads me neatly onto today's Monday Must Have. Two pairs of hi tops. Yes, I know it seems like overkill - it is. But I did buy a pair of Golden Goose in the sale at Christmas and I reckon I have worn them three times a week since then. They go with everything. With jeans, with dresses, with skirts - they are the ultimate in "don't worry about a pair of socks". And I'm off to Suffolk next week which is trainertastic (not a pair of sandals in sight at Easter, I'm going to wager) and this is my "yay you've kept up the running" gift to myself. 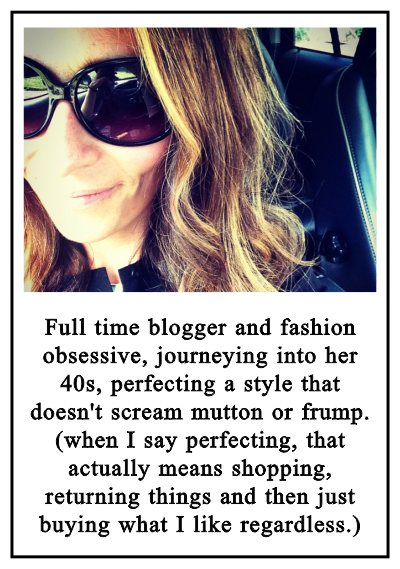 Justification.com. So the first pair I bought. And speaking of Golden Goose - well these are very VERY similar. For half the price. From my favourite local boutique in Reigate - Quattro Rish. Now they're in the process of having their website redone but you can ring and they can do mail order over the phone. She will also be able to send you pics of others that they have. These though are the ones that I got (went back for them a day later after having bought my yellow dress - I ummed and ahhed and then realised that I didn't like the navy laces they originally came with, so Ivy the owner, very kindly changed them to grey ones for me. Which makes them perfect). They're £179 - there are also low versions too, for the same price (I think...!!). The difference is that they're not as distressed. They're not as lived in, they're much more "box fresh". They don't have metal eyelets like the GGs do, but they are padded around the ankle and along the edges which the GGs aren't - they're a raw leather. They are both towelling lined (sounds random but apparently they're both designed to be worn without socks - don't ask me how I know that - I may well have made it up but I'm SURE I was told this ages ago by someone...) and are honestly like wearing slippers. I have worn mine for the past two days. Then it's back in the room with the Converse. The classics. Take Two for me. So, as I mentioned yesterday, La Redoute are having their massive 40% off shindig this weekend. 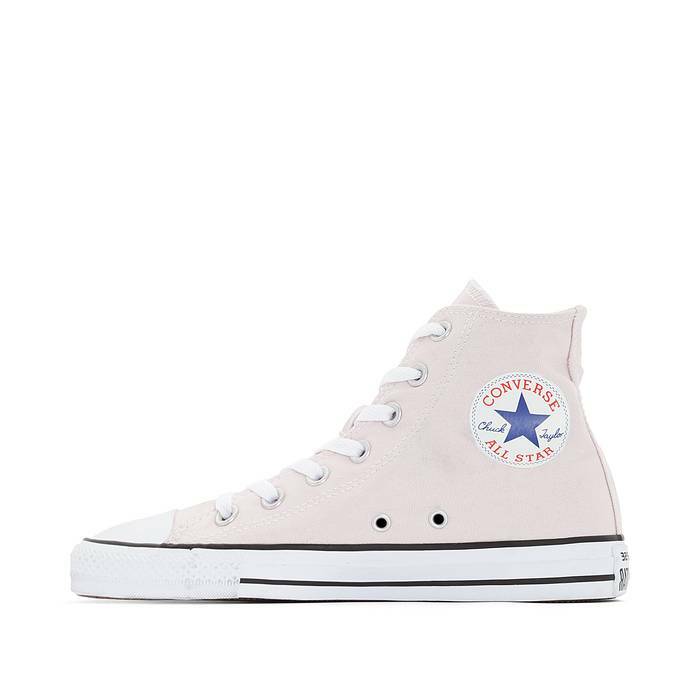 And one of the other items I chose as one of my four picks for the paid project I did with them over on Instastories, was a pair of pale pink leather hi tops. 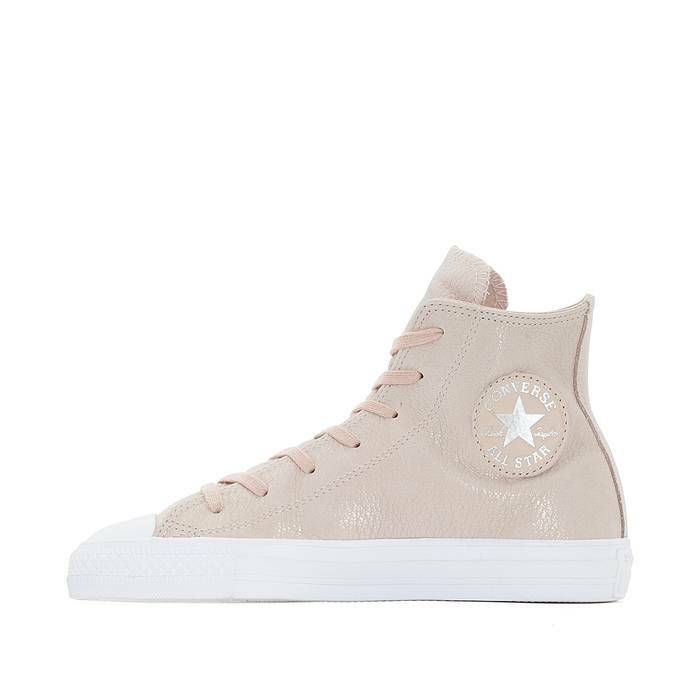 Chuck Taylor All Star Hi Tops in Pale Pink Leather £69 pre 40% off using the code BIG40. 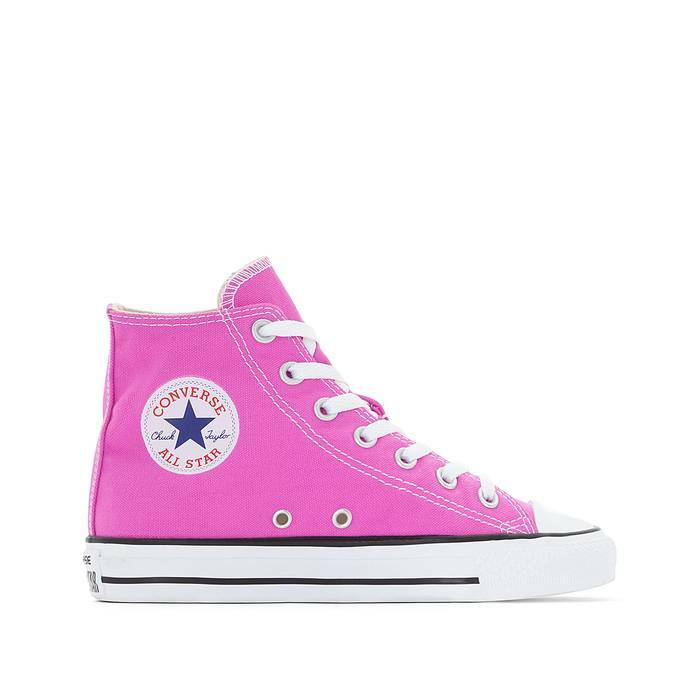 And the new season ones which are VERY bright - definitely prefer the paler pink personally.. again £69 pre discount. However, I have then taken advantage of the offer and ordered new ones for the 13yr old. 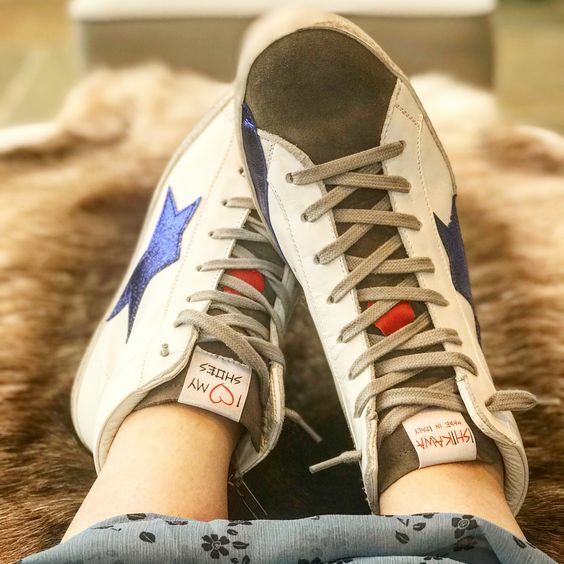 She normally has the leather Chuck Tayor All Stars (I say normally... that will be err once!) but for 40% off, it made sense to. She may have be being treated to a Levi's tee which I know she will love. 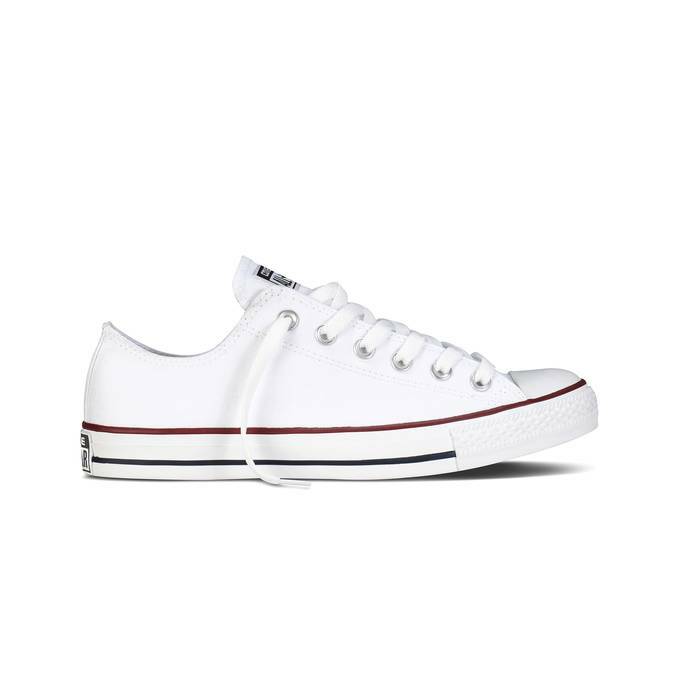 Chuck Taylor All Stars Converse £59 pre 40% off. And just like that - the weekend is over. Let the holidays begin. Ok so it's not holidays holidays, but I have just done the whole "let's see what clothes you've got that aren't winter clothes" and realised that NOTHING fits my two boys. There's 20months between them and they're now pretty much the same size. No hand me downs anymore so it will be a quick rush round to try and find them something vaguely suitable for when we go away on Thursday (as we go away, get back on Saturday and immediately go away to Suffolk that afternoon for a week. Our happy place. Cannot wait). They look so cool and trendy on you. They would never look like that on me! Ohh I always stay away from high tops because I feel like they draw attention to my ankles (which I hate!) but perhaps I'll have to reconsider... LOVE the red soles! Love those trainers! 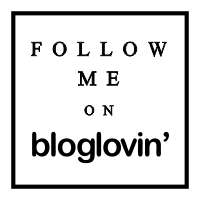 Am curious about the missguided sweatshirt. Is it soft? What are the softest sweatshirts do you think? (Sensory issues here). 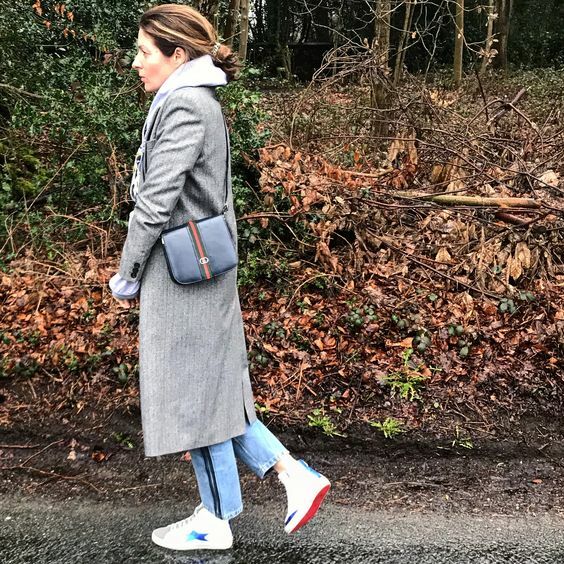 hi Kat- just wanted to say that your style and outfit shots are such an inspiration! I love cons, always in fashion and pair beautifully with any outfit. Can't beat a pair of chuck taylors!